A few years ago, on my first visit to Angola, we drove past a number of tent villages along one of the main roads to the province of Lunda Norte. I asked my husband what the camps were used for. He told me that the people who lived there did a very important job, often as volunteers: they cleared landmines from huge areas of land. I was filled with enormous respect and gratitude toward these people. It’s a dangerous and difficult job, and not many people in the world are qualified or willing to do it. They were risking their lives, and giving their time and expertise, for the benefit of strangers. Later in the week, we went to the closest little town to buy supplies. Straight away, a person with only one leg approached us and asked for money. He was leaning on a set of crutches made from tree branches. He was followed, moments later, by a second person – with one arm, one leg, and a similar set of crutches. I’d never been up close to a landmine victim before, and I’ll never forget the deep grief and sorrow I felt. In one small town we saw no less than five landmine victims in the space of half an hour. They didn’t have access to proper medical care, or to any kind of program where they could learn to do meaningful work in spite of their physical condition. They had no phones, no internet access, and were, to all intents and purposes, voiceless. On our drive back to where my husband worked, I couldn’t stop crying. I felt immense gratitude to the late Diana, Princess of Wales, for the incredible charity work she did. She worked tirelessly to raise international awareness about the horror of landmines, a daily reality that many people still live with. When you’re involved in a charitable project, you shift the focus from yourself to the needs of others. In doing so, you often experience increased gratitude for what you have been blessed with: a peaceful environment, education, enough food to eat, and so on. Charitable work really can change lives, even if you don’t realize it at the time. Look at it this way: you can count the seeds in an apple, but you can never know the number of apples in a seed. Charity isn’t just about fundraising or giving money, although that’s often the most immediate need. It’s also about giving of yourself, and using your networks to raise awareness of the plight of others. You owe this debt to the world, and to your own soul. During last Friday’s #MTtalk Twitter chat, we talked about using charity to make a difference. Here are the questions we asked and some of the responses. Q1. What is your definition of “charity” in business? @WonderPix Giving back, to the community, environment, etc., to make it a better place to live and work. @itstamaragt Charity in business is the act of giving back to the community, a foundation, a special cause, or an individual, whether with money, goods, or services. Q2. What charitable or philanthropic causes do you and your people feel strongly about, and why? It was interesting to see the wide range of charities that were covered in the responses to this question. It shows us that we all have a specific “job” to do when it comes to charity. @J_Stephens_CPA Feeding children. Every year at our users’ conference attendees and staff pack meals for @fmsc_org. @sittingpretty61 Charitable organizations that reflect some of my personal struggles with disability and the #NationalArthritisFoundation. I like to promote organizations which further the quality of life for people with disabilities. Q3. In what ways can you support a charity or nonprofit, other than raising or donating funds? @harrisonia Beyond fundraising, we can support a charity or nonprofit by sharing their promotions and news with our audience, to help raise awareness. @BRAVOMedia1 We can also support by sharing the messaging and mission to others who care, and who can help make a difference on a local, regional or global level. Love the work being done locally to me with @PeaceCenterofCT. We need more PEACE! Q4. How can an employer manage people who want to volunteer their time to a nonprofit? What are the risks? @MicheleDD_MT Our organization has established guidelines for managers and employees. Participation in large events requires executive support. Smaller events are at the managers’ discretion. @CommunityCorps Employees who feel like their values align with their company’s values typically perform better and are happier. That’s something to consider when analyzing the “risks.” We love seeing companies that encourage their employees to volunteer! Q5. What’s the best way for a business to choose which nonprofit(s) to support, and what limits should it apply? @GenePetrovLMC If that nonprofit is aligned with the company’s mission, it creates a lot of momentum. People will naturally want to be a part of it. As for the limits, I’m not sure if this means time or finances but I bet there has to be a limit on both. @hopegovind Choose a charity from whom you don’t derive any direct or indirect benefit. Choose a nonprofit who actually do work at ground level. Choose rural NGOs who work for poverty reduction and enhancing participation and inclusiveness. Q6. “It’s important to pick a cause to support that would benefit your brand image.” True or false? Please explain. @Midgie_MT False. Pick a charity that you are passionate about, rather than one that simply looks good to be associated with. @BRAVOMedia1 Absolutely! A brand choosing to support a cause should be in alignment with the brand’s values – like @DawnDish and their support of animals in crisis. @Yolande_MT To me, “brand image” is not about window-dressing to look good to the world. It’s more about aligning brand image with charities in terms of values, ethics and reputation. Q7. How can working with nonprofits develop talent within an organization? Through charity you are able to expose your employees to situations that they won’t come across in the workplace. It’s a great way of increasing their repertoire of skills, and they can also practice existing skills in a different environment. @NWarind It develops a sense in you that money is not the sole purpose in life. Bosses must also volunteer, to experience the feeling of fulfillment it brings. @Ganesh_Sabari By ensuring the act of charity employs one’s core skill sets. Utmost dedication is demanded of the employee as the outcome is about reputation and not money. You cannot afford to goof up. Q8. What has your team learned from being involved with charities? @ZalkaB Giving to others is rewarding. You can see how it impacts those in need, and you can see your team/organization bond, as well. I personally loved seeing that every act of giving has an impact. Q9. How else do organizations benefit when they align with nonprofits? Nowadays, people care more and more about how much good a company does, and how it gives back to the community. @BrainBlenderTec It provides a way of giving back in a directed way, as there is often a story or number of stories which can inspire. It can have a domino effect. @B2the7 It definitely builds trust and goodwill with both the community and charity, but it also instills a “good feeling” within the organization that they can make a difference and have the businesses support. In turn, it helps to recruit talent that WANTS to work for you. Q10. What words of wisdom, or experiences of mixing charity and business, would you like to share for others’ benefit? @hopegovind You must include volunteering and giving back to the society as a part of your employee engagement activities. You should also offer surplus resources, whether technology or expertise, to help the society to grow. @Jikster2009 There is so much to learn from people who deliver so much with so little. It is gratifying to know that you have supported others that truly need it, as well as the sense of pride in seeing your efforts make a difference. We often work alongside others without really knowing them. Then, when we have to collaborate on a project or work closely together, conflict arises. 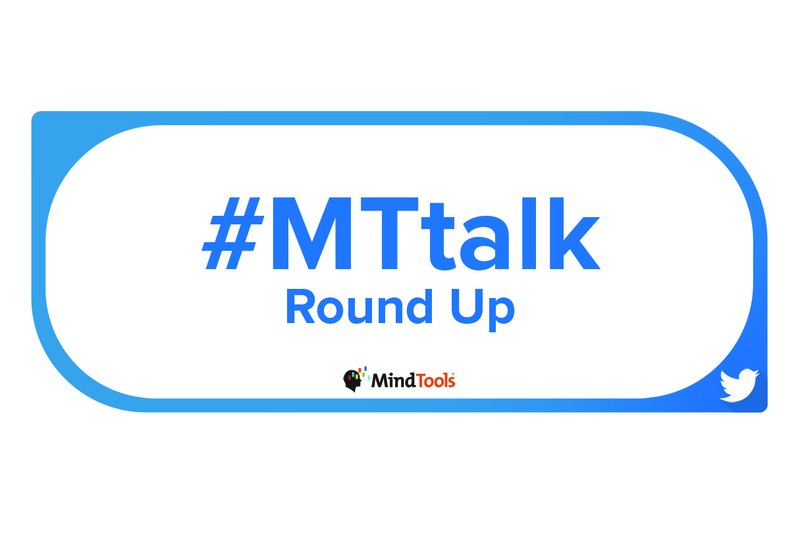 Next time on #MTtalk we’re going to talk about how our culture informs what we see as respect, or being respectful. In our Twitter poll this week we’d like to know which element of respect you think is most easily misunderstood or misinterpreted. Please vote in our Twitter poll, here.